Chinese officials have fired back at US Secretary Hillary Clinton’s recent remarks about Beijing’s dispute with Japan over islands in the East China Sea. On Sunday, Clinton said that the Obama administration opposed ”any unilateral actions that would seek to undermine Japanese administration” of the Senkaku Islands. China has long claimed the islands, which it calls Diaoyu, as part of its territory, and in recent weeks has sent fighter jets and vessels to patrol in their vicinity. 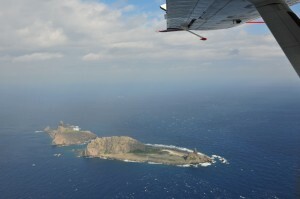 Last week, China’s National Administration of Surveying, Mapping and Geo-information outlined plans to survey the Diaoyu Islands as part of a routine program of mapping its territorial islands and reefs. In her comments during a meeting with Japanese Foreign Minister Fumio Kishida Friday, Clinton reiterated Washington’s position that recognises the islands as Japanese and that her country is committed to defending the Asian ally. “We urge the US side to adopt a responsible attitude in regard to the issue of the Diaoyu Islands. It should be careful with its words and acts, and maintain regional peace, stability and the general situation of China-US relations with practical actions and build credit with the Chinese people,” Qin said in remarks carried by Chinese media. The Chinese government says it has historical documents proving ownership of the islands and that it protested following World War II when the US handed control over to Japan.